Every day in the UK we waste about 1,200 Olympic size swimming pools of water. If you’ve got a meter that’s money down the drain. Big bills can lead to debt problems like water arrears, so it makes money sense to be wise with water! You’ll be shocked how much money you can save on your water bill by making these seriously simple changes. Water meters have helped thousands of people in the UK save money on their water bill, as well as pay off arrears. When you’re on a water meter, you only get billed for the water you actually use. Who can apply for a water meter? If you own your own home, you qualify for a free water meter. If you’re renting or have a fixed contract, you can also apply. However, if you have less than six motnhs left on your tenancy agreement, you must get your landlord’s permission to apply. Does it cost money to install a water meter? If it’s installed within the home, it won’t cost you anything. There may be a fee for installing it outside, but your water supplier can talk you through this. Are they really big and ugly to look at? No. Water meters are no bigger than a can of baked beans, and relatively easy to hide if you’re not keen on the look of them. I’m based in Scotland. Should I get a water meter? Most people in Scotland pay their water bill through their council tax. Scottish Water can talk you through the process if you think it’ll be cheaper to pay your water bill through a water meter instead. Will I get hassled to give regular water meter readings? Nope! New water meters can be read remotely by your water supplier. This means that they shouldn’t pester you for regular water meter readings. 2. The best things in life are free! Water companies are eager to help you save and offer several handy little gadgets for free that you can easily install. There are shower timers (like egg timers) you can stick next to your shower to remind you not to take long, expensive showers. You can get regulators or tap inserts to limit your flow rate and cistern devices that absorb water making toilet flushes more economical. Find out what freebies your water company offer. Twice a day, regular as clockwork, we stand at the sink to brush our teeth. In this time six litres of water a minute disappears down the plug-hole. Say you do that for three minutes, twice a day – that’s 36 litres…for each person in your home. 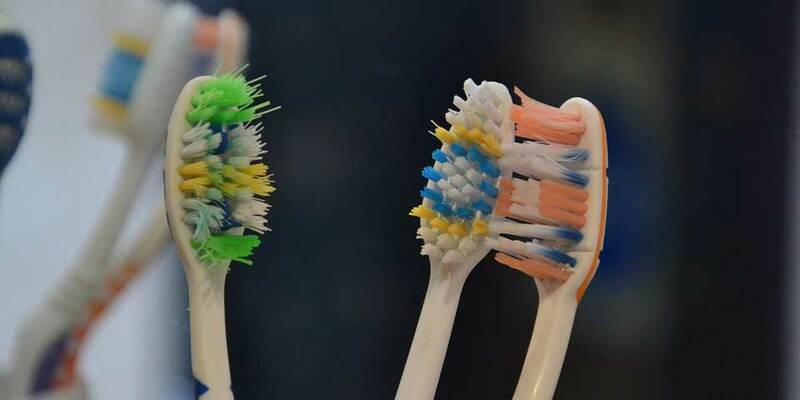 So a family of four will waste 144 litres of water a day cleaning their teeth. Turn off the tap! Simple but effective. Not letting the tap constantly run will save water and money! It depends on how bad it is but a leaking tap can waste as much as 1 litre an hour. In a week that’s enough to fill a bathtub. Fixing leaks can be simple to do and generally it won’t take you long. Here’s a step-by-step video you can follow. If you live in rented accommodation, your landlord is usually responsible for small fixes such as this. Ask them and see if they can help. A five minute shower uses about 35 litres of water. But stay in there longer and your bills could really spiral. Time it! I know sticking to five minutes is hard, especially if you’ve got a family (I’m thinking teenagers). So, a handy trick is to stick a timer (I explained how to get a free timer in my second tip) next to your shower so you know when time’s up. There’s no guarantee your family will pay any attention to it but hopefully over time they’ll become more aware of their usage. It may sound obvious to only use the washer when you’ve got a full load but in a busy family home it’s not that easy. Remember: washing machines use 14% of all water in the home. When it comes to laundry, the half-load button is your best friend. It’ll ensure that you only use as much water as you need. The wash cycle itself tends to be quicker, as well (the same advice also applies to dishwashers). Another way to save money on washing clothes is to switch to ‘cold wash’ detergents. Traditional detergents need warm temperatures to activate, but more eco-friendly detergents work just as well in cold water. 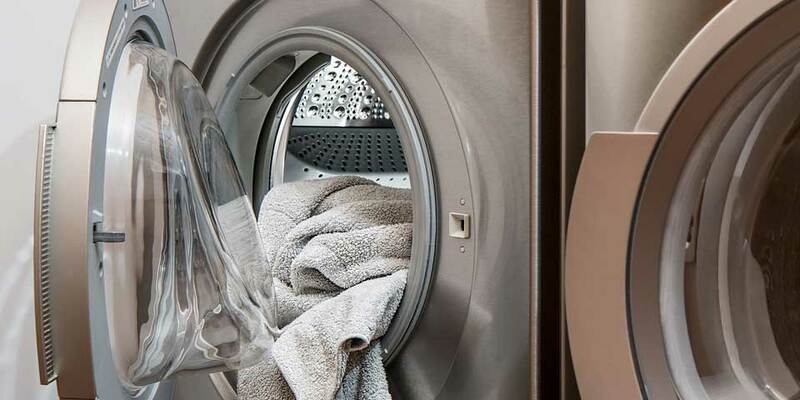 Skipping the hot setting on your washing machine can save you lots of money over time. It’s better for the environment too! While we’re on the subject of hot water, it’s no secret that the UK runs on a nice cup of tea. We even have a set power surge on weeknights known as a ‘TV pickup‘. This is when energy companies have to account for a spike in power usage during commercial breaks. This is when thousands of soap opera fans switch their kettles on at the same time for a nice brew. Cuppas aside, so much of the water that we boil ends up as steam. What a waste! It might sound strange, but only boiling the water you need can save you lots of money (and time) over the year. Watersure helps people on low income by making their water bills more manageable. If you qualify for Watersure, you won’t pay any more than the average metered bill for the area covered by your water supplier. be claiming certain benefits (the regulator OFWAT can give further guidance on this on their website). If you think you might qualify for WaterSure, your water company can look into it for you. How do I get help with water arrears? If you’re struggling with your bill visit our page on water arrears for more information on what to do if you’re behind and how to get back on track. For debt help now use our confidential online debt advice tool – you’ll get a tailored budget and personal action plan to deal with your situation. Statistics courtesy of Northumbrian Water, 2013.